Weaves are a great resource for protective styling. But what does that actually entail? Below we will list the basic key factors in helping all our naturalistas or relaxer wearers enrich and maintain their hair underneath. 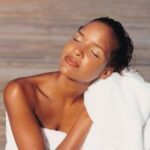 Ensure that your hair is freshly washed and deep conditioned. Be sure to not allow your stylist to braid too tight. This will help decrease any tension and prevent hair loss. Consider a weaving net to relieve some tension placed on the scalp. This is considered a must with those who have thinning hair and edges. 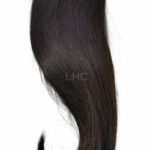 Consider a lace closure (shop). This will minimize any manipulation needed with leave out. For those who suffer from dandruff or seborrheic dermatitis, ensure that you treat your hair prior and during install. Dermatologists typically prescribed Nizoral (ketoconazole) shampoo and Temovate (clobetasol) solution. Neutrogena’s T sal and T gel shampoos are also good over-the-counter alternatives. Note: Please consult with dermatologist regarding further information regarding your condition or products mentioned. Moisturize hair and scalp using a slim tip applicator bottle. This is also a simple way to apply your favorite shampoo, conditioner, and oils. To prevent hair from mildew; ensure hair underneath is completely dry. Use as less heat as possible on leave out (try bendy rollers, roller sets, tying hair down with scarf, etc as blending methods). Massage your scalp as much as possible. This brings blood flow to the area and promotes hair growth. Ensure you take out your weave after 8 to 12 weeks. If possible, it’s always encouraged to allow your hair and scalp to rest for a couple of weeks between installs. Always stay on top of any necessary trimmings. It is also a wise decision to do a protein treatment at this time. Following these simple steps will help minimize damage and prepare your hair for proper hair growth. Take, tweak or add to the above to establish a healthy hair regimen.